Attack 1 : DOGE WITH IT!!! 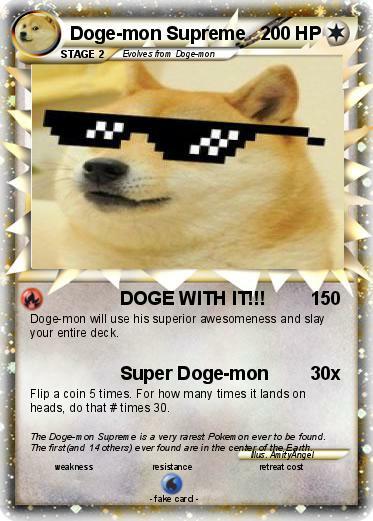 Doge-mon will use his superior awesomeness and slay your entire deck. Flip a coin 5 times. For how many times it lands on heads, do that # times 30. Comments : The Doge-mon Supreme is a very rarest Pokemon ever to be found. The first(and 14 others) ever found are in the center of the Earth.